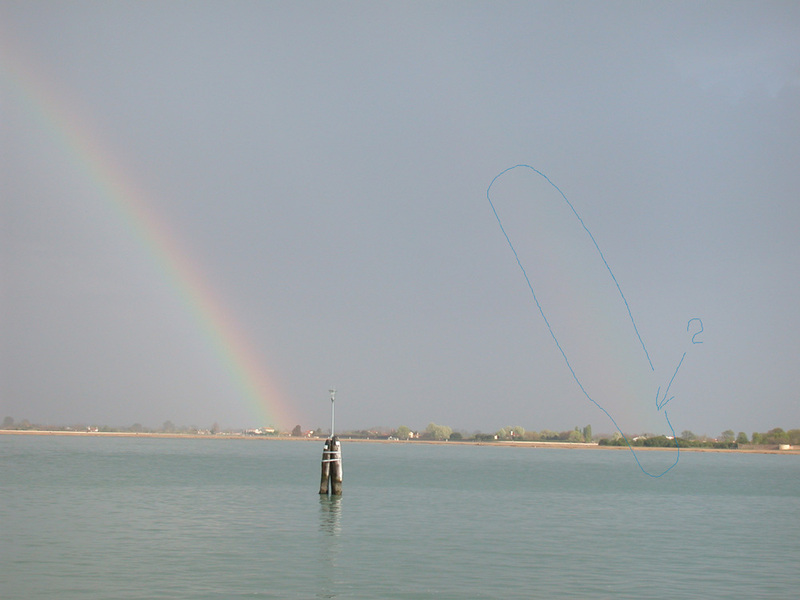 Bobby claimed he couldn't see the double-rainbow in the first rainbow image. I can't either! Here is another, annotated, version. You can JUST see the second one. It was more visible in the real sky. Faint, but amazing.